#1 Cowboy Birthday Card and Gift Bag! 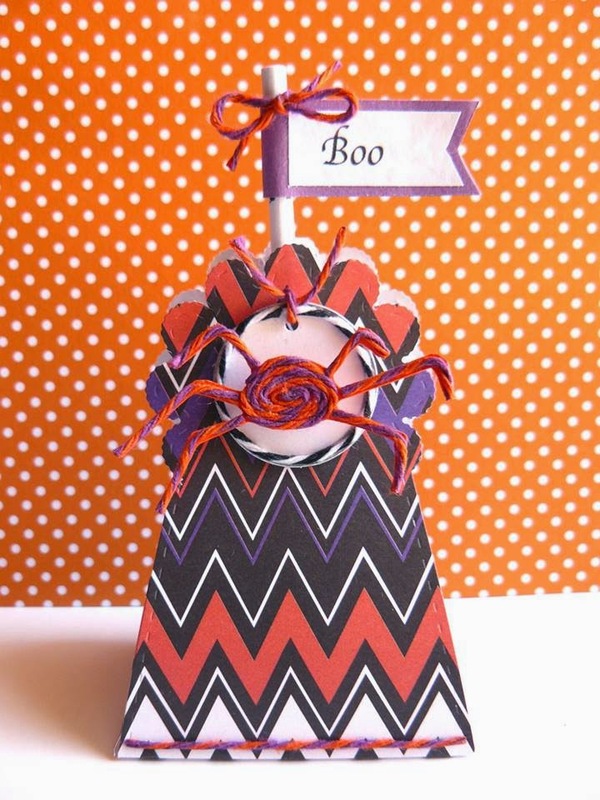 I'm KimberlyRae from Kreations by KimberlyRae here to Happily share my Trendy Twine projects as their guest designer! Thank you so much, Trendy Twine for asking me here, I'm honored to create with your Amazing Twine! 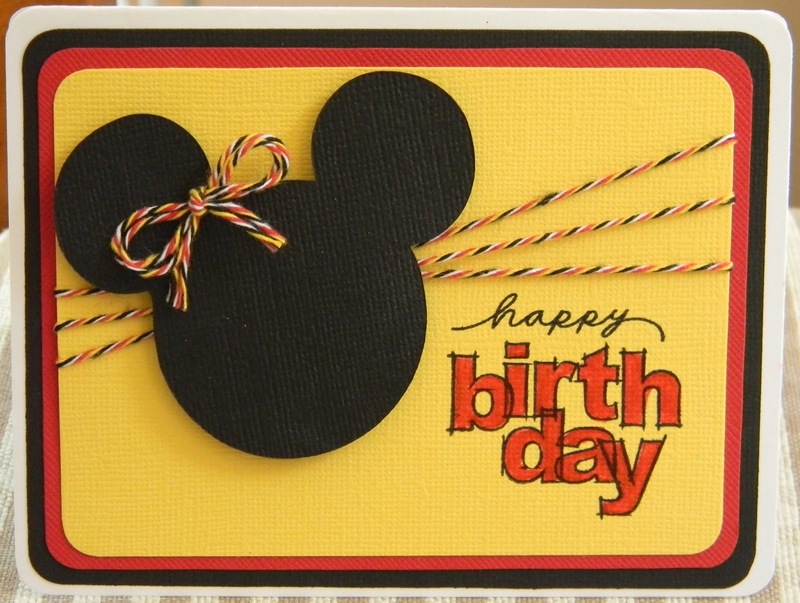 My first project is this card for my Grandson, for his FIRST Birthday! Doesn't the character look just like him? Can we say C-U-T-I-E! 'Happy Trails' SVG Kit came in real handy dandy to create my Card Base, Cowboy and Matching envelope! It came with every svg file I needed to complete my Cowboy Card for my Grandson's first birthday! 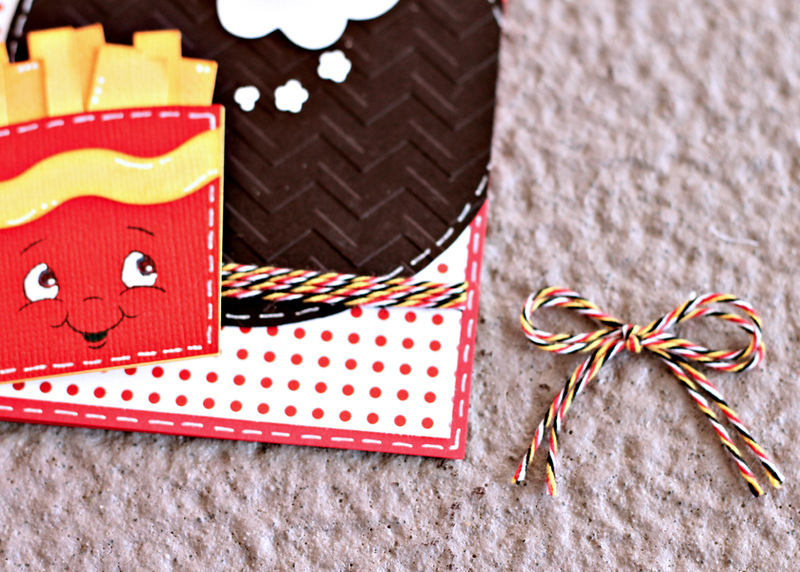 Inside the card I used Trendy Twine's Lemon Tart twine and Cranberry twine! I will do some more personalizing, later so it's not all muddled up with our drawings and greetings..ha. See how Trendy Twine lasso's the #1 ? Pretty clever, eh?! LOL The Chocolate Truffle twine was Perfect to rope the number right up! To Draw the 'GRANDSON' sentiment, I used Cri-Kits Pens and made an offset to cut around the word and adhered with a Zot dot! The number one embossed cardstock sticker is from the kit 'Country Livin' by We R Memories as all the paper, too. And.....what's a card without a GIFT BAG to put it in, right! Just had to, I couldn't help myself! Also, the kit comes with a bee but I chose to draw some stars to match the card with my Cri-Kits Pens. I grabbed some Aqua Midnight Trendy Twine and bowed it up in a mini clothes pin to create a little star cluster. I used the same Aqua Midnight Trendy Twine to crochet my bag handles :) Ohhhhhhhhh...this was so FUN and so EASY! If you don't crochet no worries- you can make it using your fingers and looping the twine and pulling it through each loop and tie a knot. Easy peasy! 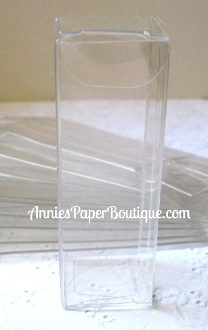 TIP: For my Sample Size Twine's I wrap around a doll pin! Works GREAT! NOTE-Not Just Vanilla! Notice how This twine does Not just have color with White! Some are mixed with Color and Color like the BubbleGum [second down on left side] is blue, pink and white that's Three Different flavors! [Photoed: Aqua Midnight , Orange Truffle, In the Navy and Cranberry twine]. Now scoot on over to Trendy Twine HERE and start Drooling! You Will Want Every Flavor! [slurp]! Thanks so much to the all the awesomely talented ladies here at the blog! I want to especially thank Lesley, for giving me such an amazing opportunity to be a Twine It Up! Guest Designer. Big hugs!!!! For my last project I selected some stellar Pink Midnight twine. Candace here from Scrappin' 2 Little Princesses!! 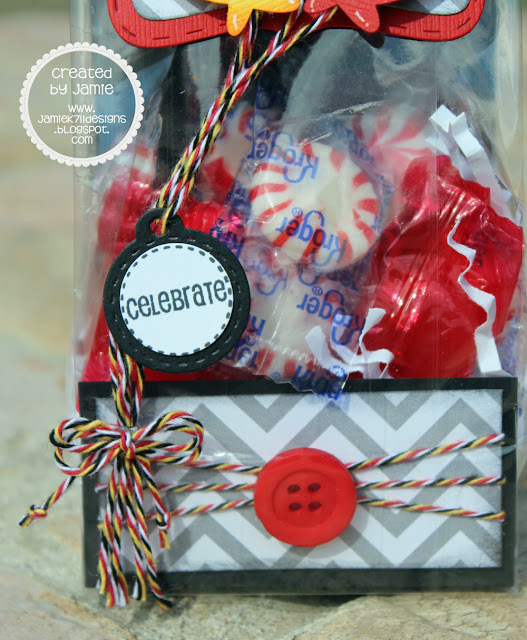 Have you all been loving our projects this month using the awesome new Celebration twine?! It has been super fun to play with such a unique and different color combo!! I wanted to fill you all in on a little secret of mine... I use a cheater method on my twine bows... I usually wrap my twine around my cardstock first, then make a bow out of separate twine and adhere it over my wrapped twine with Zip Dry glue. Just a little reminder that you still have some time left to get your Disney projects linked up for this month's challenge!!! Check out all the challenge rules and link up HERE!! I started my project out using a popcorn cut file that I picked up from the Silhouette store. 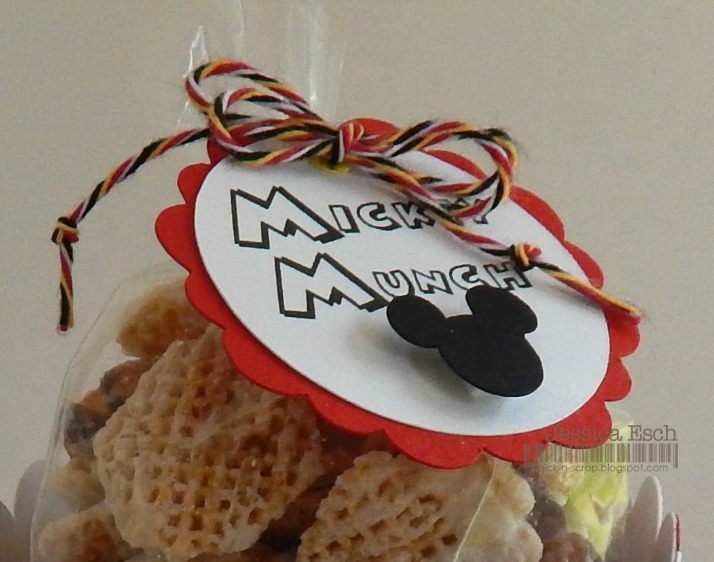 The file came with these adorable popcorn cuts and sentiment as well but knowing that I was going with a Disney theme, I erased them and in its place made the cute Mickey Mouse head. 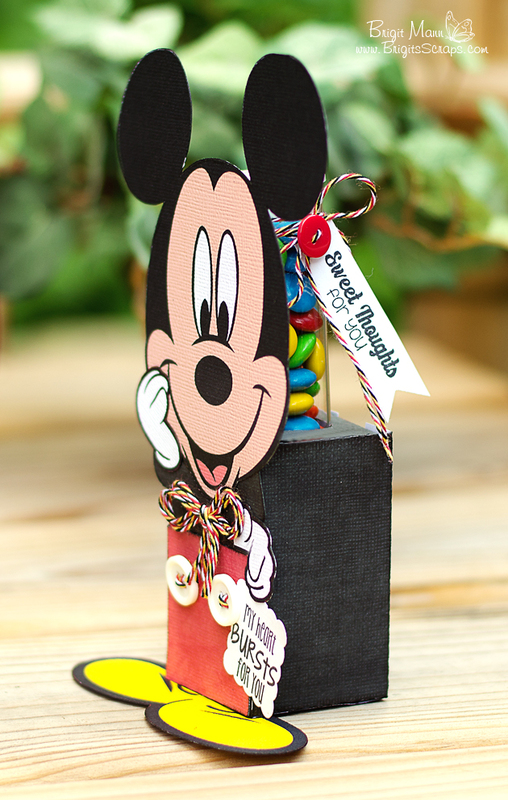 I cut all the pieces using Bazill cardstock in the Disney colors~white, yellow, red and black and then assembled my box. 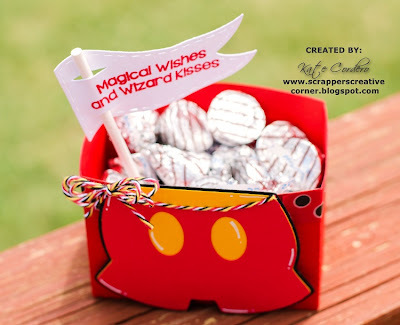 For the front of the box, I added the ovals that were part of the file, my Mickey head cut and then a border of Celebration Trendy Twine. I could have left it with just that (cause it looked really cute) but I wanted to add a triple bow, also using the Celebration Trendy Twine and a fun brad from my stash. Even cuter!!! Next I made this yummy Mickey Munch :) to add to my popcorn box and since it is a treat in a clear bag I had to add a fun tag to it. I designed the tag in the Silhouette Designer Studio using a Mickey Mouse font, a smaller Mickey head cut and a layered circle and scalloped cut for the tag shape. 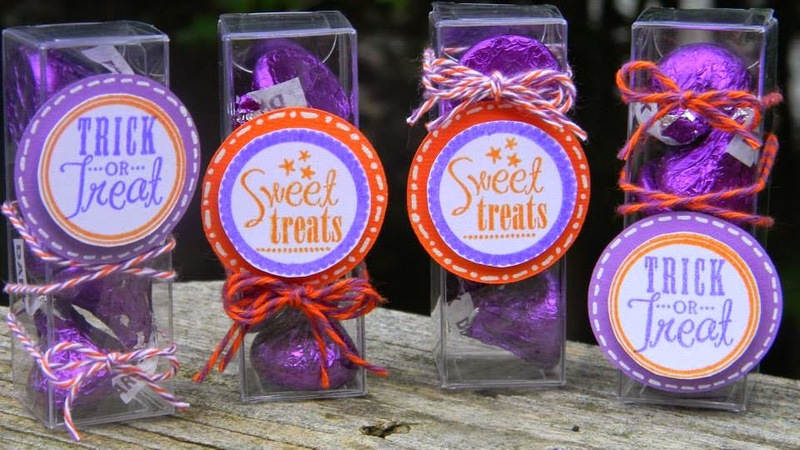 After printing and cutting out the tag, I added it to my treat using a more Celebration Trendy Twine. Well I sure hope you have enjoyed my project! 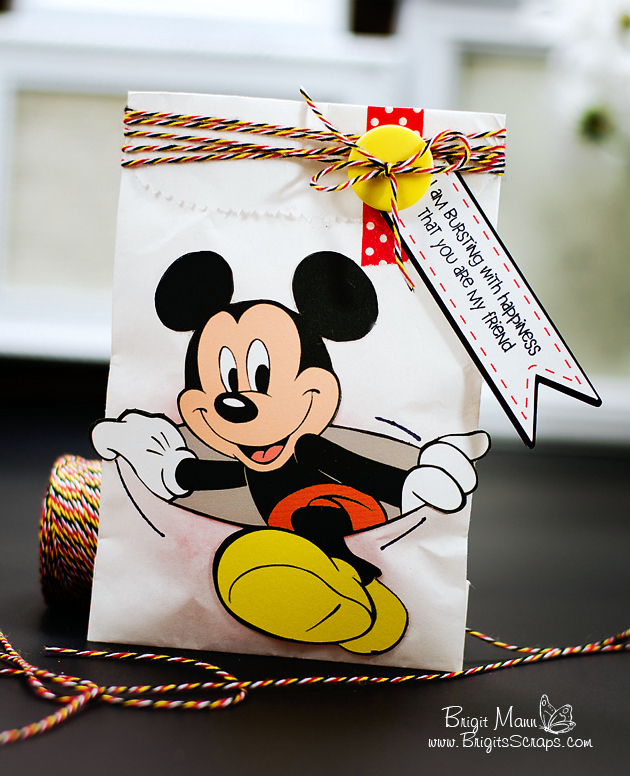 I used one of the small white flat bags and decorated it with a print n cut Mickey, he looks like he's coming out from inside the bag, too cute! I love the red polka dot washi tape, it's perfect for sealing the bags closed and adds a nice splash of color. The stamp sentiment is from Jaded Blossom's Got Candy stamp set, I just added a button and wrapped with the Celebration! new colors that were released this month and the old ones too! and share your projects, we all love seeing them!! Hello everyone! 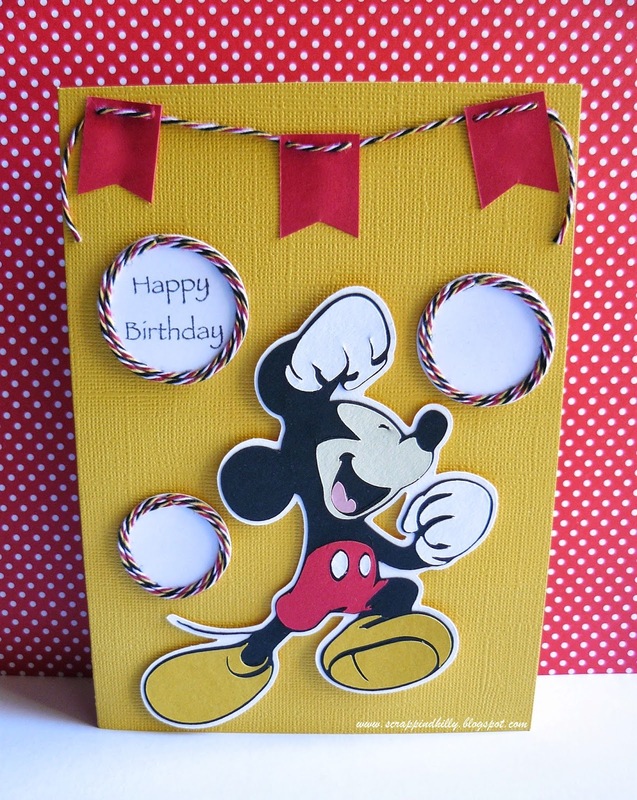 Helen from HTB Creations with an easy Disney birthday card for you today. 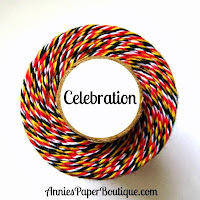 We're playing with the fabulous Celebration Trendy Twine this month. I just love the 4 colors in this twist! 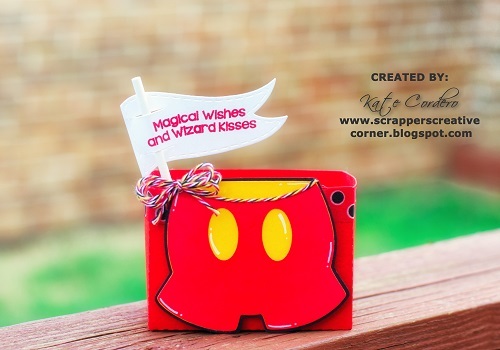 The Mickey head came from the Cricut Mickey Font cartridge. I cut it out at 2 1/2 inches. I decided to turn it into Minnie :) and added a fun Celebration Trendy Twine bow. 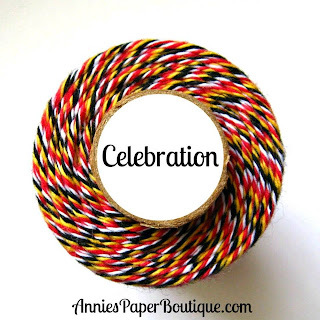 I pop dotted in over the Celebration Twine that I wrapped around the yellow layer. The sentiment is from Close to My Heart. I really do hope you can play along with our challenge this month. You have until the end of this week to get your entry in. 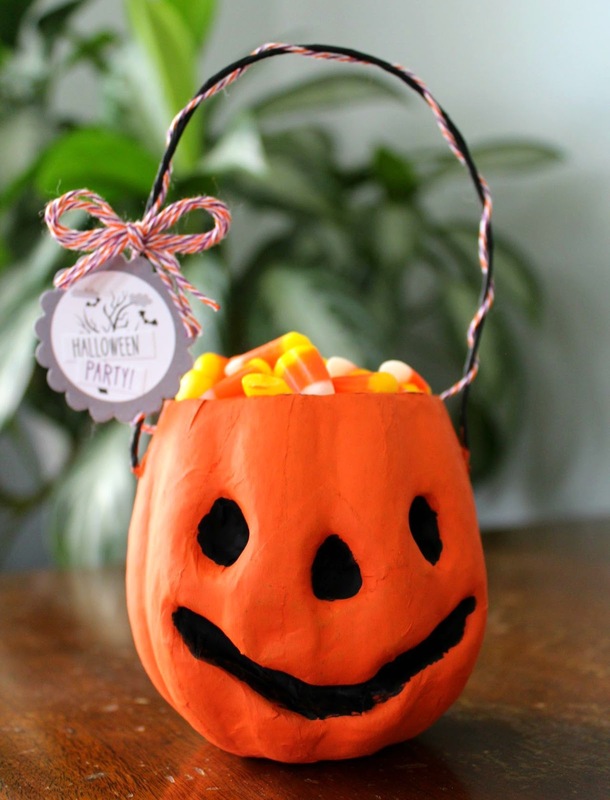 Just check out all the rules for this month HERE--we really would love to see your creation! 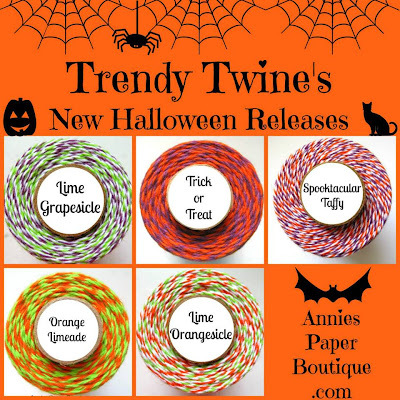 Finally, you should really head over to the STORE to see all the fun Halloween Trendy Twine colors there are now. 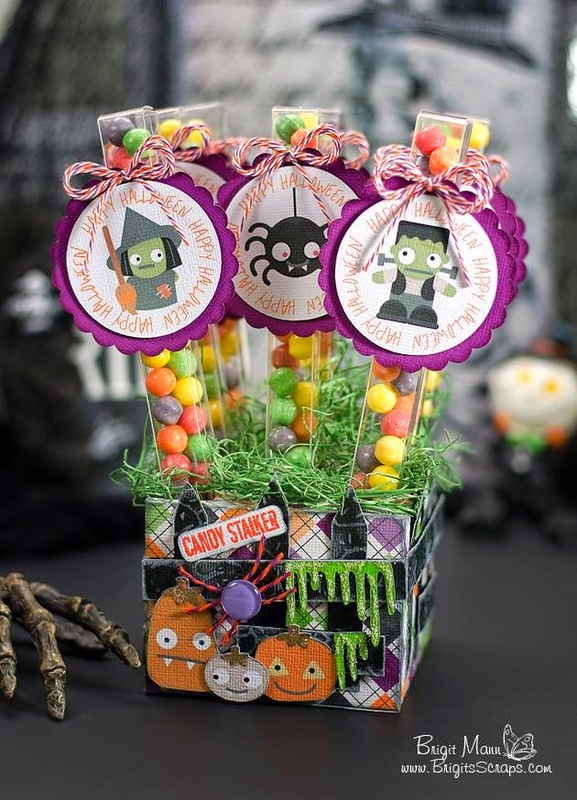 Order soon so that you have them in plenty of time for all your fall projects. Hey Friends! 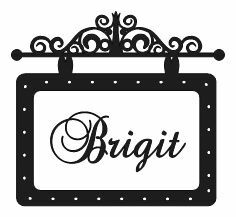 It's Beckie of Just B Creative Crazy, and I'm back with blog post #4 as August's Guest Designer. But anyway... on to my project. This week's Trendy Twine pick for me is Totally White. Good Morning my fellow Crafty Friends. 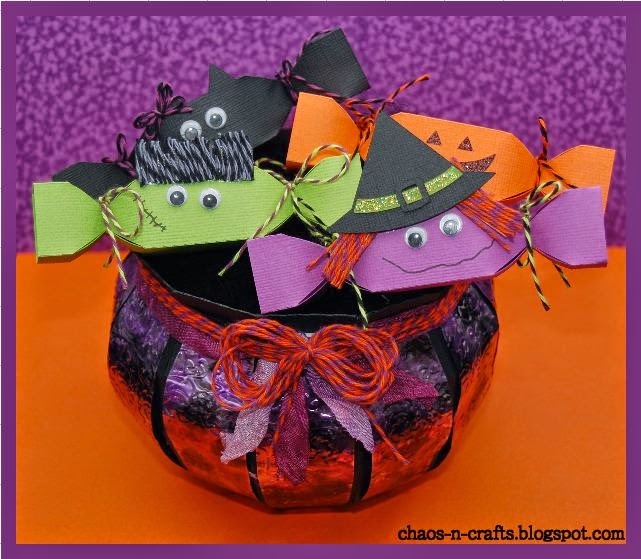 It's Kate here from Scrappers Creative Corner with a little treat for you. I used the new Celebration Twine, love this color and Hate it because it makes me miss Disneyland so Much. Jamie here to share a new Trendy Twine project with you! 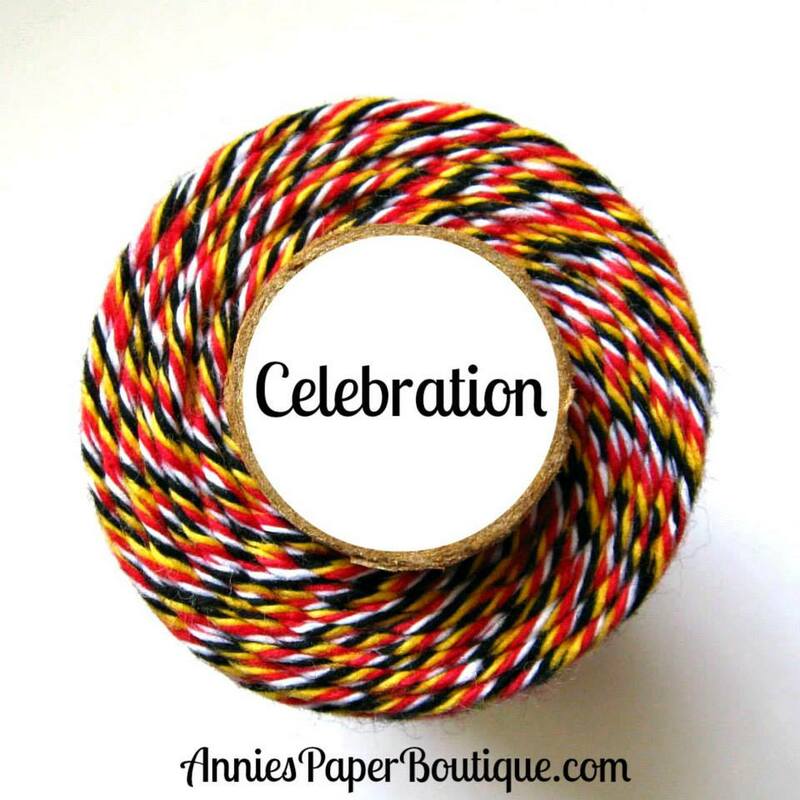 This month we are featuring the fabulous new Celebration twine! 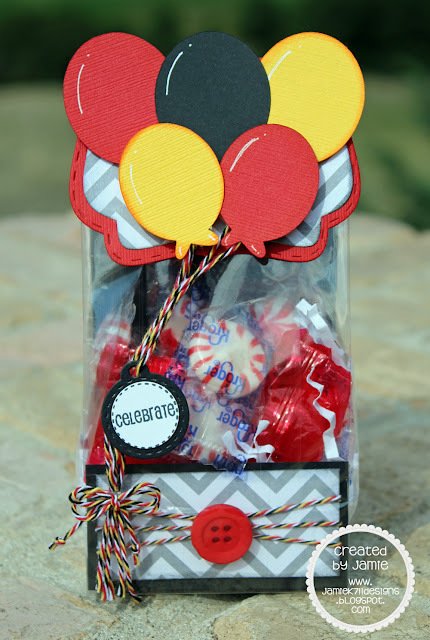 I made a simple little treat bag with some balloons hung with some yummy twine! I used the Jaded Blossom Fancy Topper Die and Gusset Bag. The Balloons are from SVG Cutting Files. Here's a close up of the balloon strings. 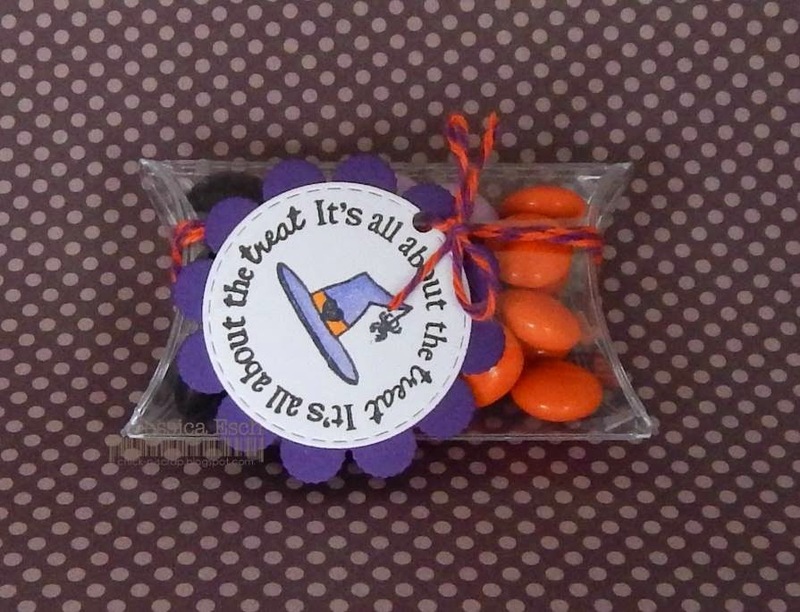 I used a Candy Charm and Candy Stamp for the sentiment. Don't forget to join us for our Disney Themed Challenge HERE! Happy Monday, we are featuring the Celebration twine which was released earlier this month. This is a four color twist of red, white, black and yellow. It is perfect for celebration projects so I used it to create a birthday card. I outlined the circles with the twine and added a sentiment from Docerela stamps to the center of the largest circle. The banner was created using hand cut flags and stringing the twine through the holes. My card was finished by adding a Mickey Mouse cut from the Mickey and Friends cartridge. Mickey is popped up on foam dots for added dimension. Hey Friends! 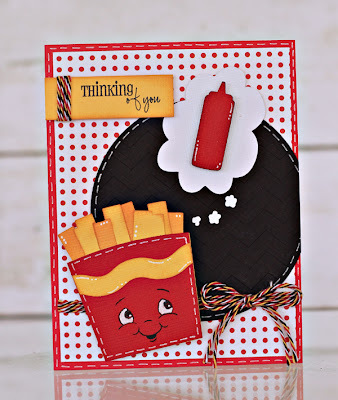 It's Beckie of Just B Creative Crazy, and I'm back today with post #3 as August's Guest Designer. Can I just say...This is sooo much fun!!! YAY!!! 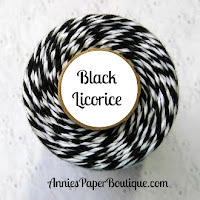 For today's projected I used some fabby Trendy Twine in Black Licorice and a Clear Candy Box. Have you looked around at the packaging choices...ooooh lala. You can get lost in there for days! Hello, Trendy Twine friends! It's Jessi from Kissin' Krafts! 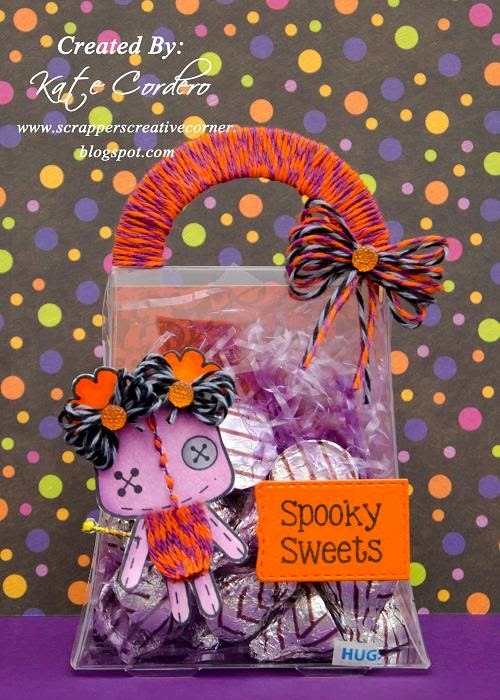 I am excited to share with you my latest project using the new Trendy Twine color - Celebration (the fun FOUR color twine)! As we all now, a Disney trip is very $$$. So to make our upcoming trip alittle more affordable, I am doing some Disney DYI! Below is an Autograph book to get the characters' signatures! I used the fun Celebration twine as the book closure for the album. The twine is attached on the back cover and wrapped around the button on the front to close the book. Now to the problem? Do I use one book for all the kids? Or one for each? Any thoughts? Love the colors? Why not join the Trendy Twine Monthly Challenge? Check out HERE for the details! Interested it getting the latest Trendy Twine news? We would even love for you to join our Facebook group -Twine It Up! 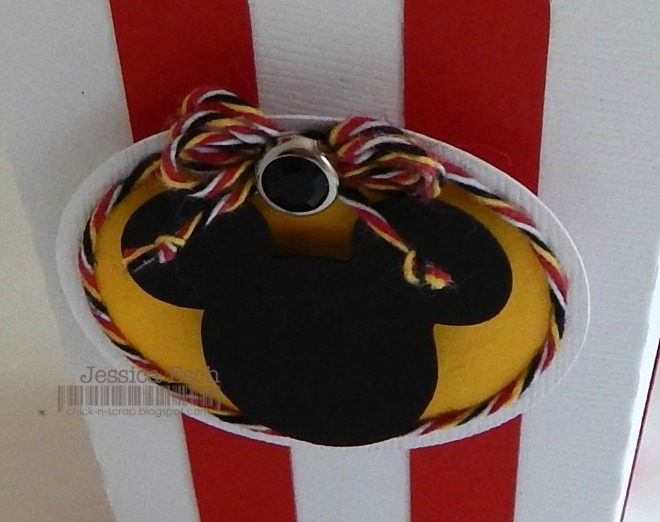 I'm having so much fun working with this twine, I love the Disney color combination, it's wonderful! 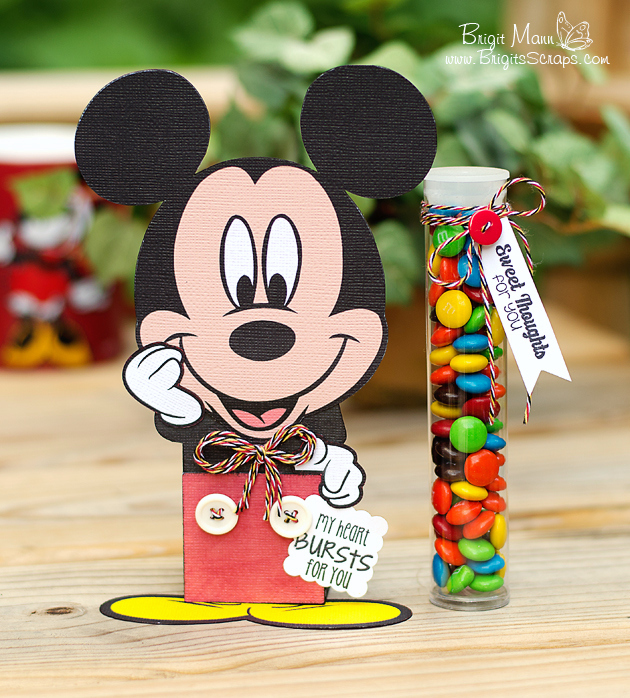 I thought it would be fun to create a Mickey treat tube holder using the twine as his bow tie and on the tube with a sweet sentiment from Jaded Blossom's Got Candy stamp set. The sentiment Mickey is holder is also from the same set. For the box I resized the one from SVGCuts Camp S'mores kit, it worked out perfectly. 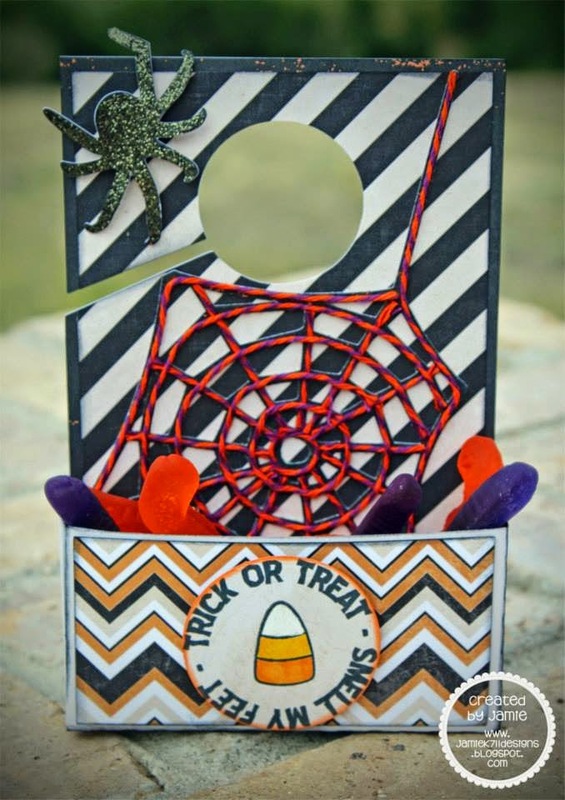 Don't forget to check Trendy Twine's Facebook page and share your projects, we love seeing them!! We are releasing our five new Halloween colors. 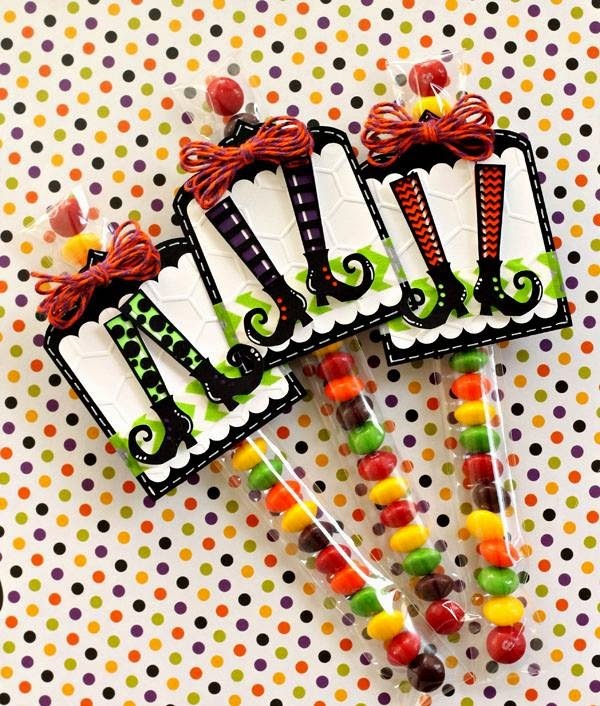 This gives you a total of ten colors to pick from for your Halloween crafts and treats. along with some of our current ones. Get ready for some creative inspiration. Pretty Amazing, right? Make you want to run to your craft room to start creating, doesn't it?